I don't typically plan our meals, as often Dan finds ingredients in the fridge and makes something for dinner. 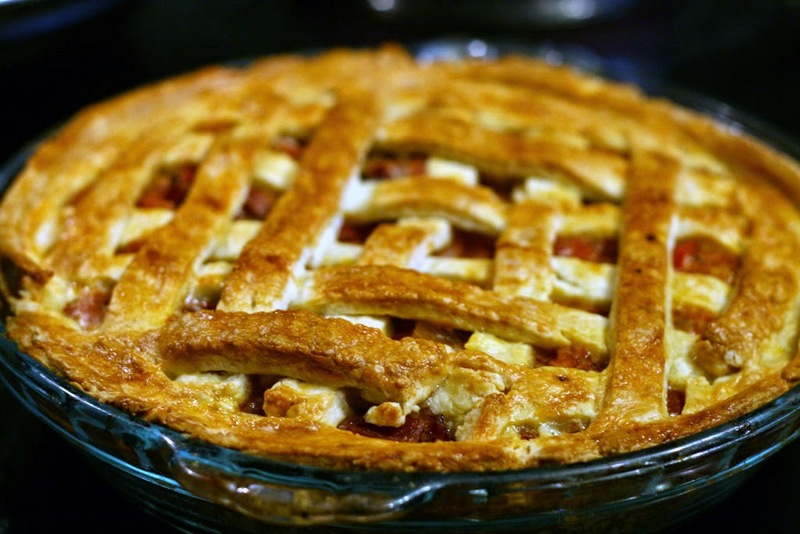 This pie is the product of our "meal planning" (i.e. how to use up a lot of leftover braised pork shoulder). 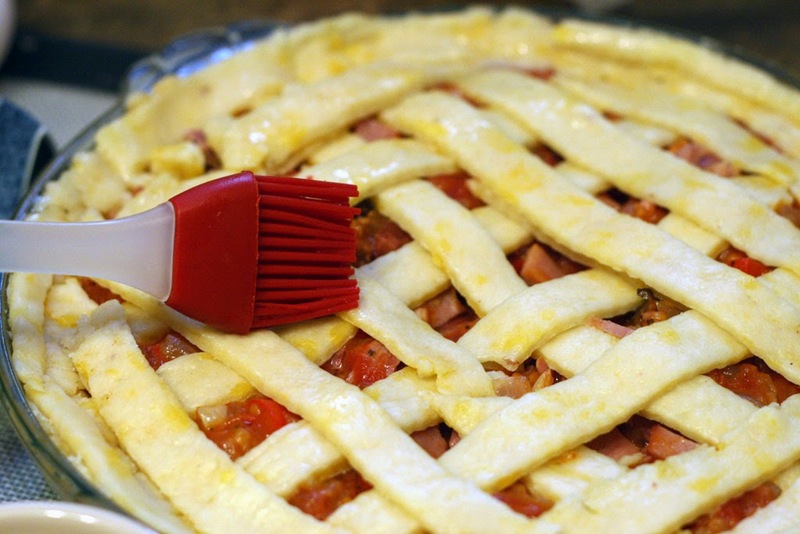 When we thought of what to make with the leftover ham, comfort food came to mind and who doesn't love pie? There is no hard rule that says pies must be sweet and adding cheese to this pie dough not only makes it tasty but also keeps it flaky. 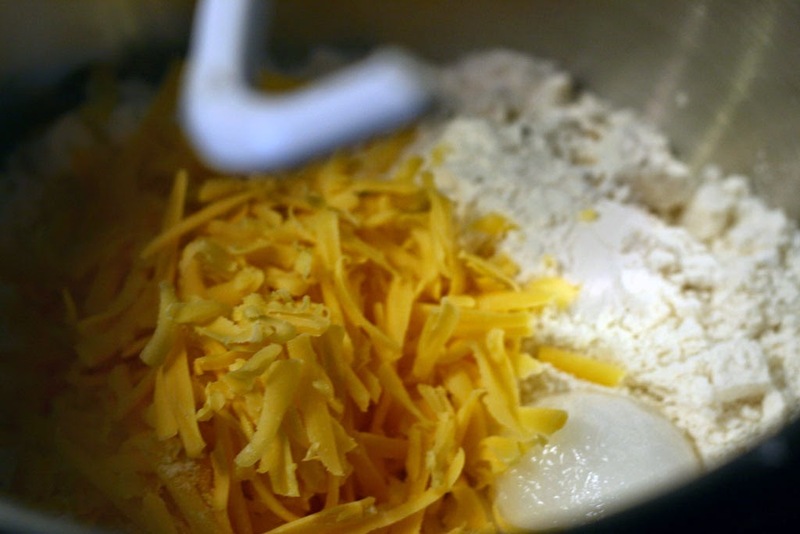 In mixer, add flour, baking powder, salt, butter, coconut oil, and cheese. Beat until combined. Add milk to pull the ingredients together. 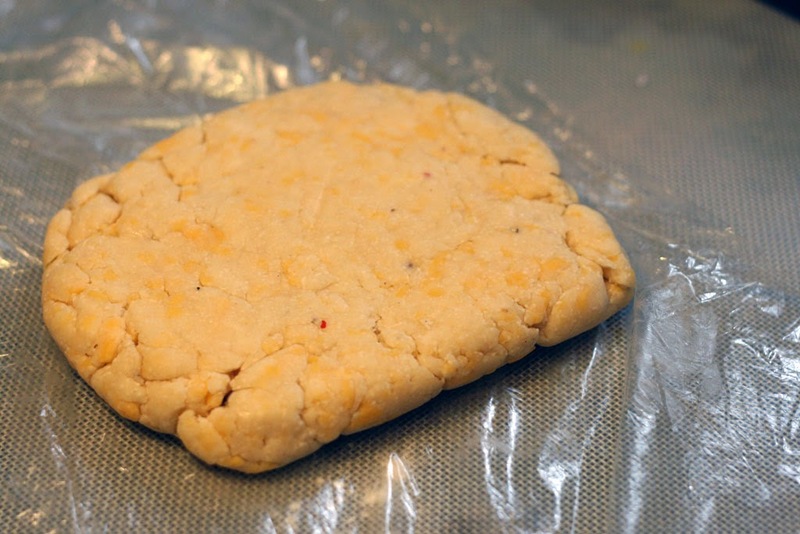 Remove the dough from the mixer, wrap it in saran wrap and place it in the fridge for 30-45 minutes. 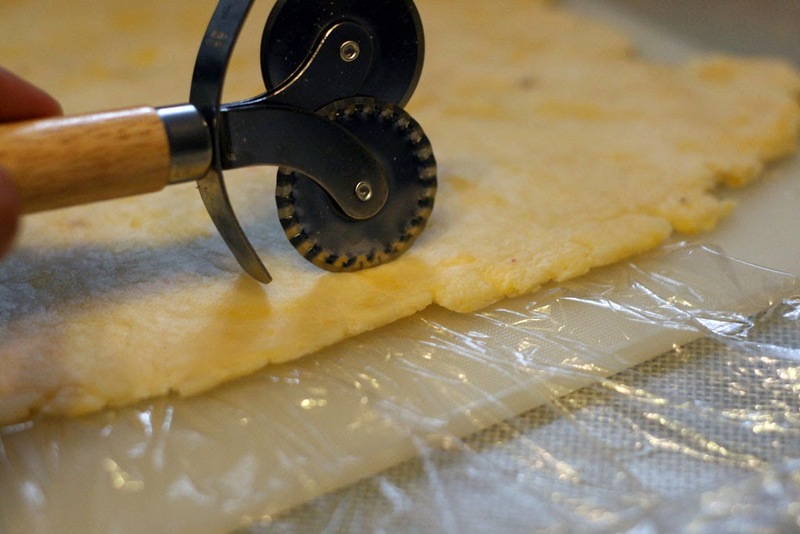 This will help solidify the dough to make it easier to roll out later. Try not to leave the dough in the fridge for too long as it will become very hard, on the other hand leaving the dough in the fridge for too short of a time will result in crumbly dough that doesn't come together. Meanwhile assemble the ingredients for the filling. In a medium sized pot, heat the butter. Once the butter has melted add the onions and garlic. 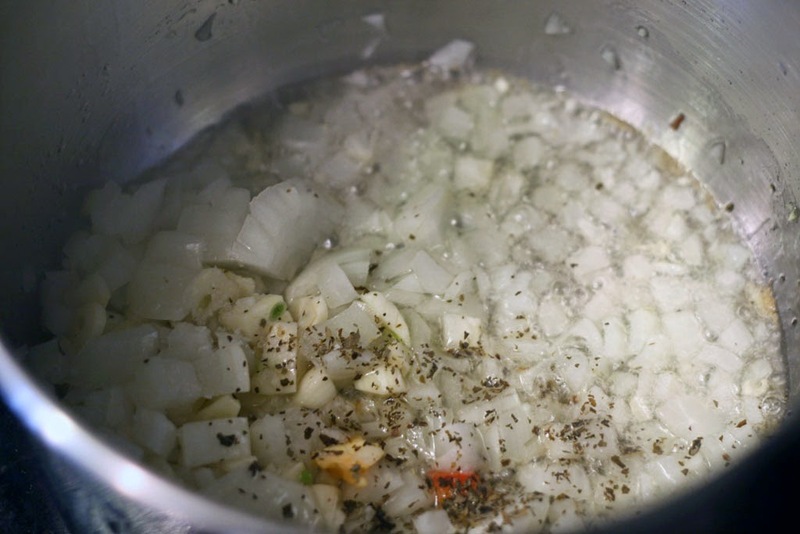 Cook until the onion becomes semi-translucent; almost clear. 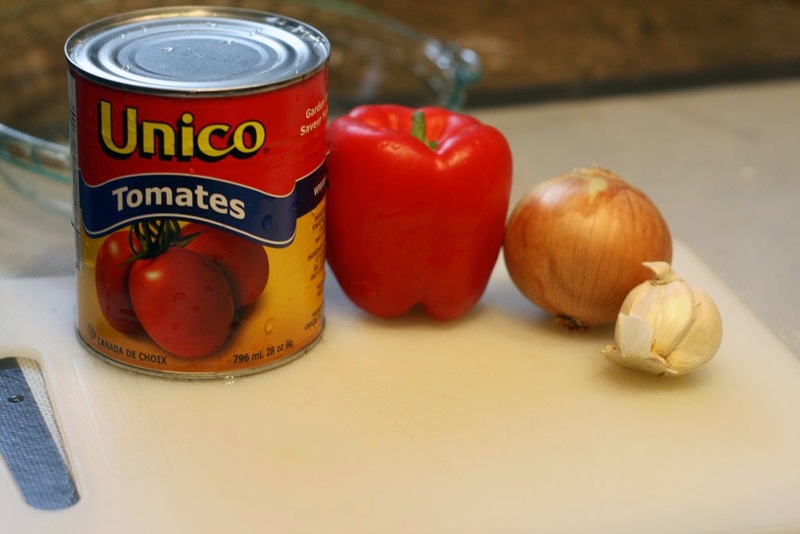 Add the canned tomatoes and peppers to the sauce. Then add the flour and toss well. 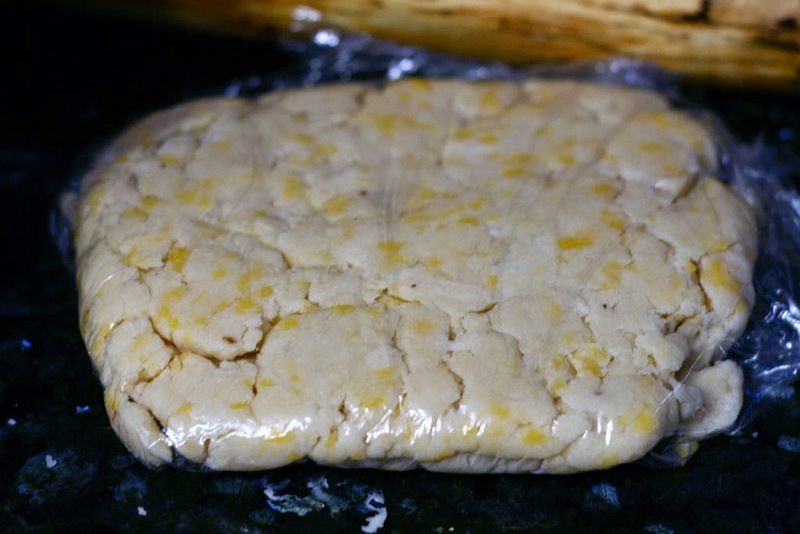 Remove the dough from fridge and split it into into halves. 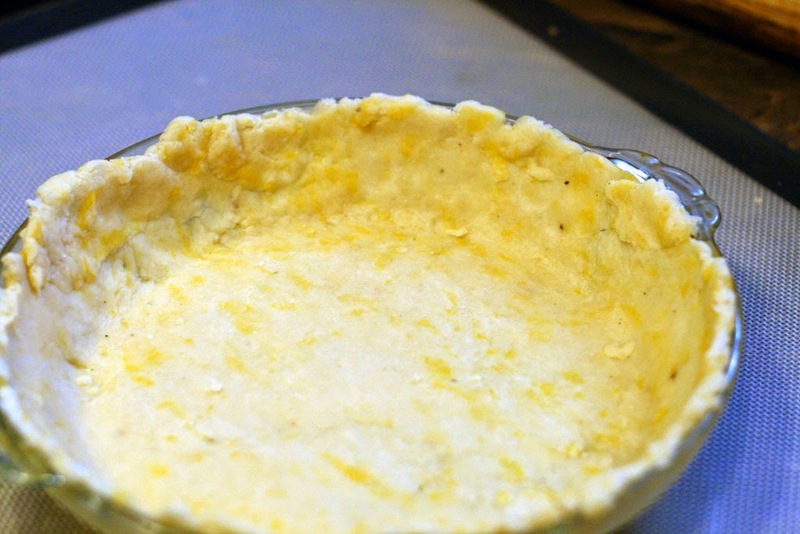 Coat an 8-inch pie pan with butter. Taking half of the dough, roll it into a circle that is larger than the pie dish. 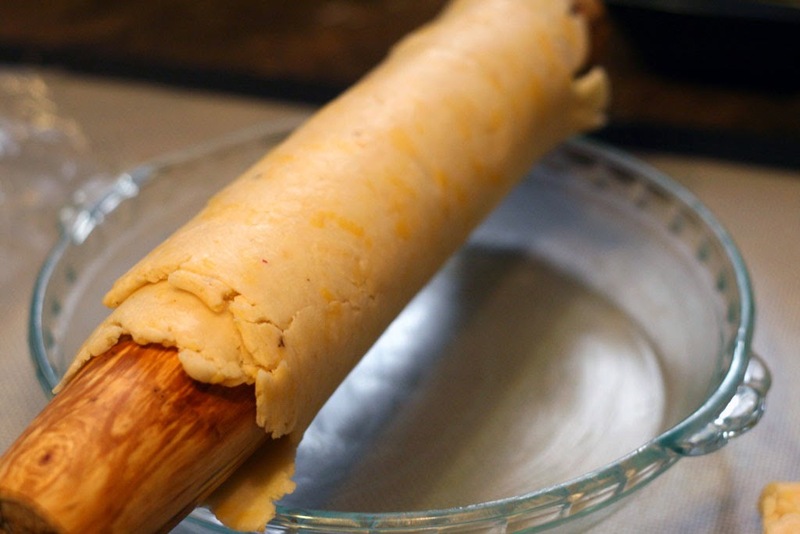 To transfer the dough to the pan, use the rolling pin. 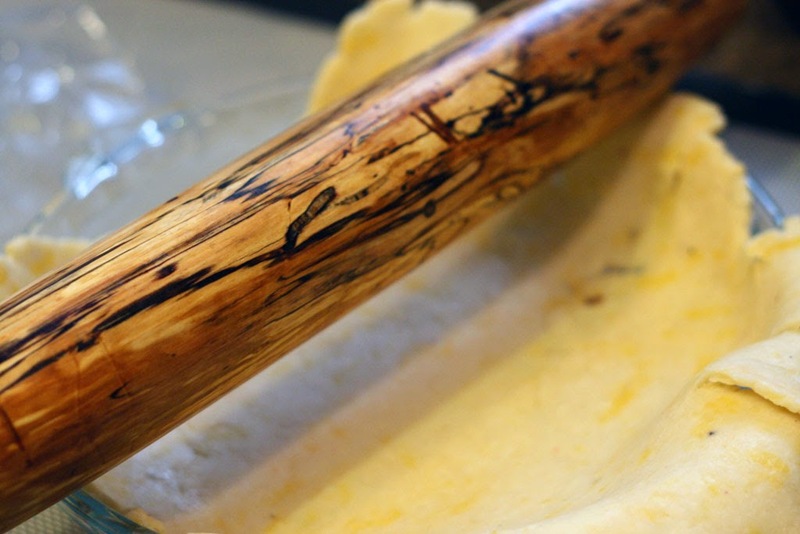 Use your fingers to push the dough down into the dish. 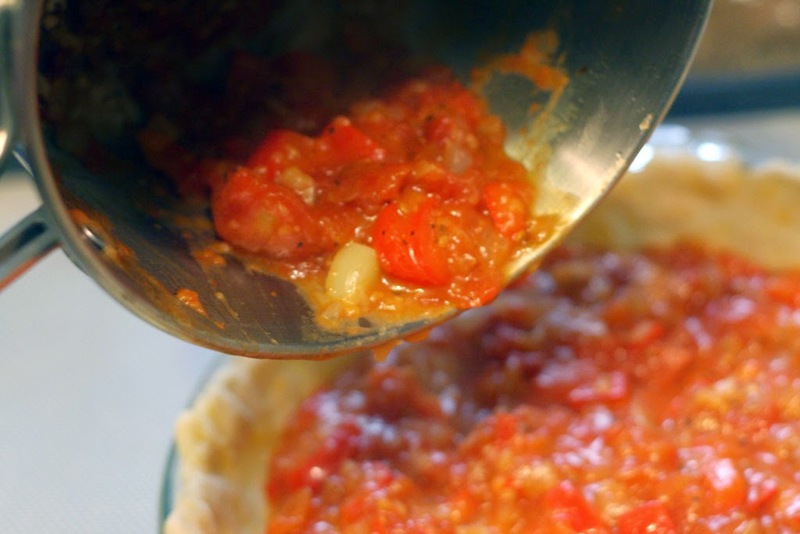 Fill the pie with the tomato filling. 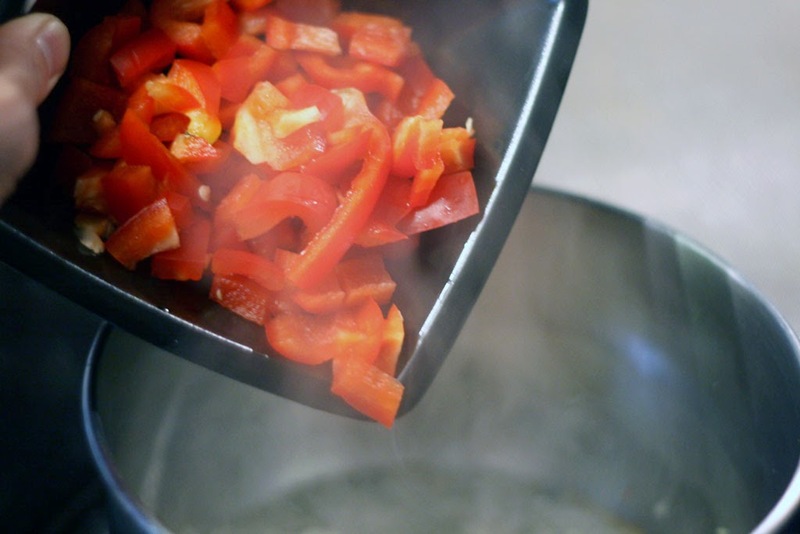 Then, sprinkle the chopped hame into the tomato mixture. 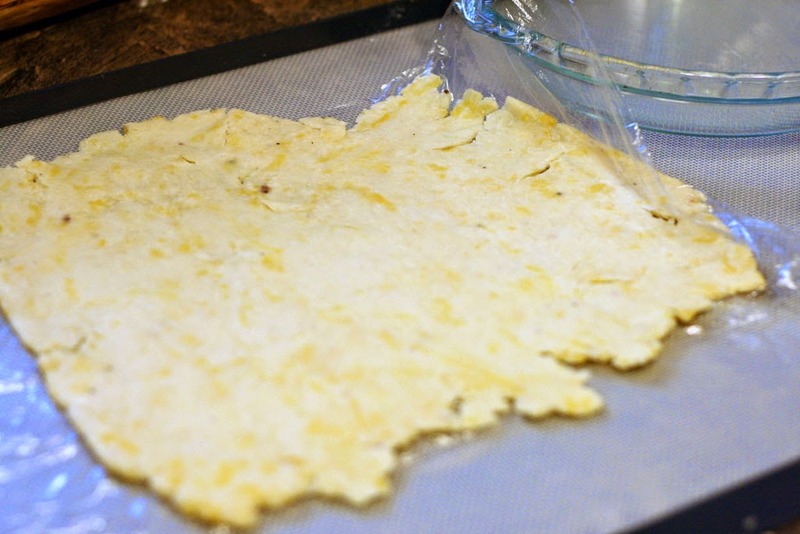 Take the second half of the dough, roll it into a circle, then cut into strips. 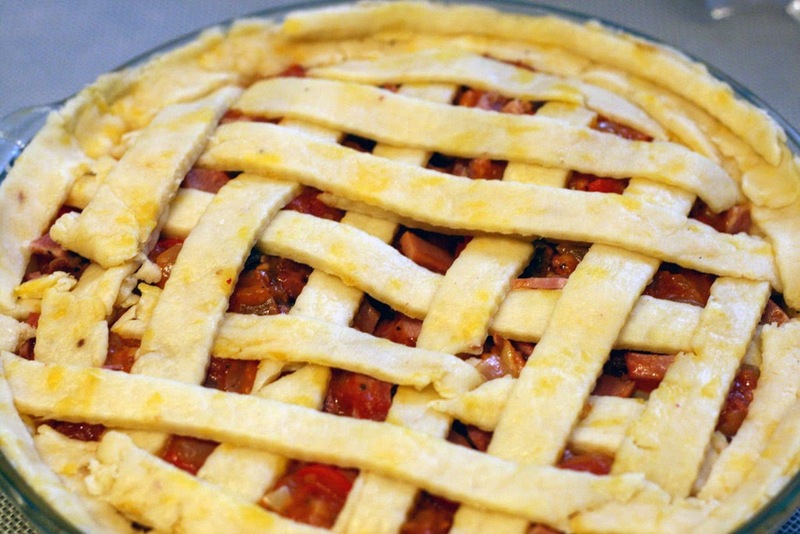 Place the strips of dough on top of the pie. Preheat the oven to 400F. 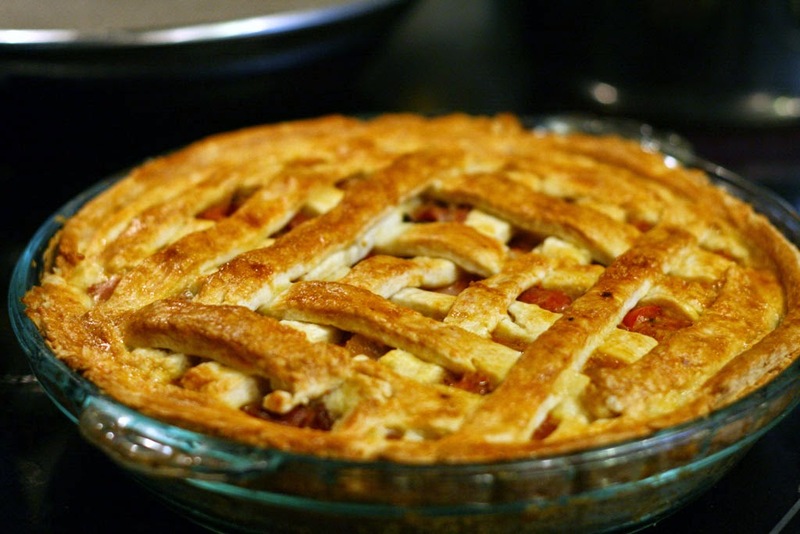 Brush the pie with an egg-white wash.
Bake initially for 10 minutes at 400F, then reduce the heat to 375F and bake the pie for another 35-45 minutes. 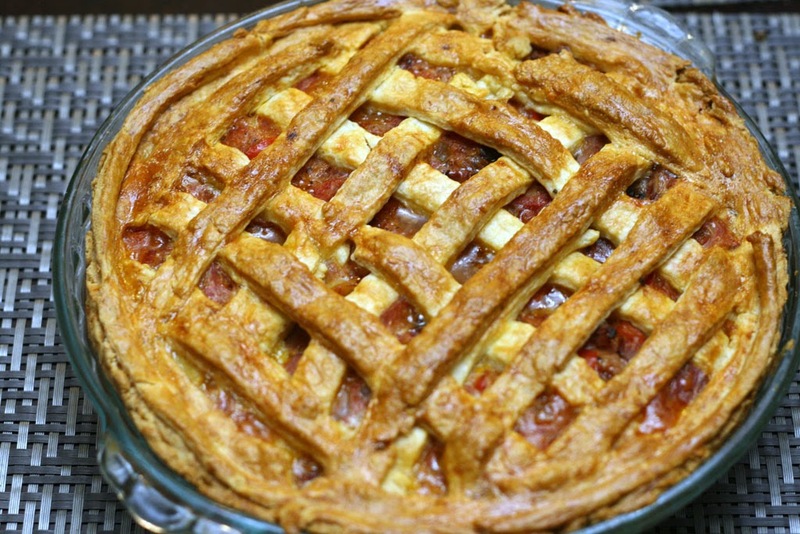 The pie should begin to bubble when it is ready to eat. Ham, Tomato and Cheese is a classic combination that definitely cannot go wrong. 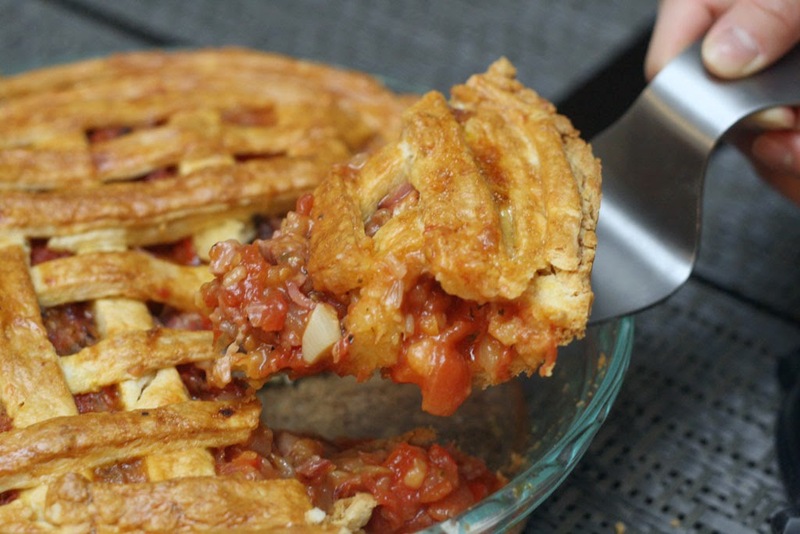 This pie was a hit and a great way to use up leftover meat. 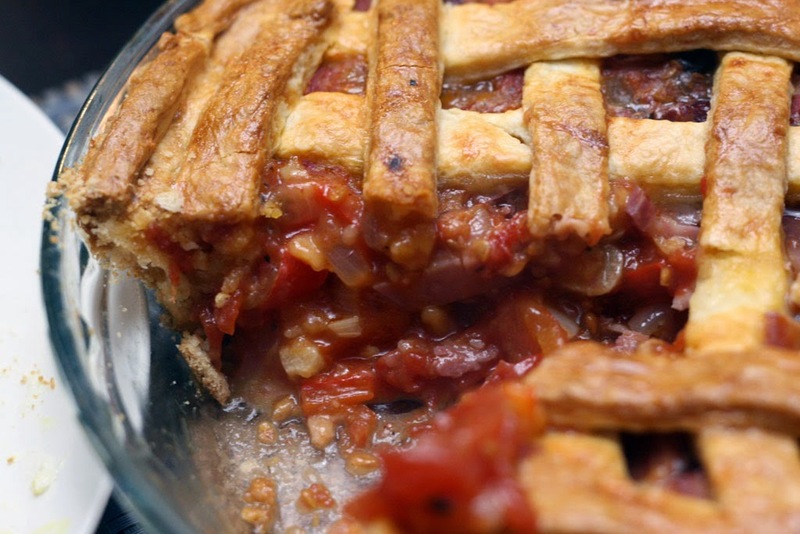 We will definitely revisit this pie soon.